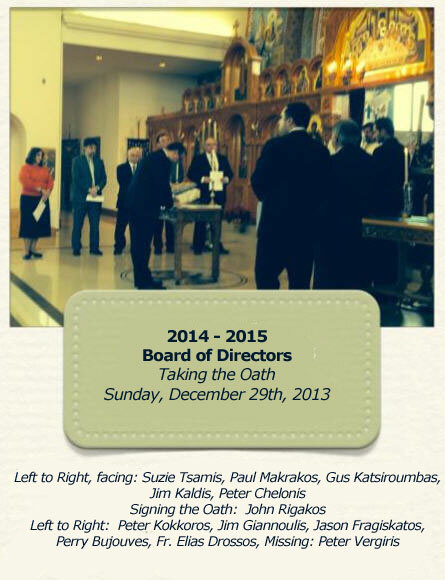 The Community Council of the Holy Trinity Greek Orthodox Church is organized under the Uniform Community Regulations of the Greek Orthodox Metropolis of Toronto (Canada), a charitable organization incorporated under the laws of the Province of Ontario, Canada. The Community Council consists of eleven members elected by the members-in-good-standing of the Community every two years. According to the Uniform Community Regulations the Priest and the Community Council, are responsible for the administration of community ministry and organization.